My wife recently asked me whether my bodybuilding addiction is merely a substitute addiction for my (now abandoned) alcohol addiction, or a separate addiction in its own right. I don't know how to answer that question, but I can say for sure that bodybuilding and the lifestyle around it are quite addictive. As a rival addiction to drinking, bodybuilding makes an excellent choice because, when done right, it cannot coexist with even a moderate amount of alcohol intake. It is one or the other, at least for me. In his book, Addiction and Virtue: Beyond the Models of Disease and Choice, Kent Dunnington explains how addictions are "totalizing" entities in the addict's life. One plans the events of one's day around the "next cigarette" or the "next drink". Or, in my case, the next cardio workout, the next weight workout, or the next 50 grams of protein. As with any addiction, healthy or unhealthy, rival pursuits get shoved aside to support the addictive behavior. How did I become addicted to bodybuilding? It would be a long story to tell in its entirety, but I can trace it back at least as far as a Captain America coloring book which I owned in elementary school. 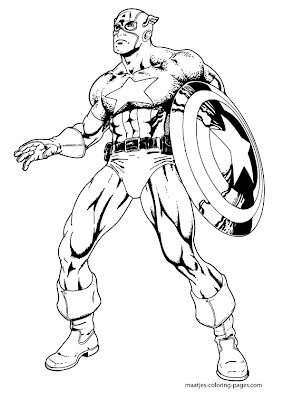 I remember being especially impressed by Captain America's quadriceps, and in particular his Vastus Medialis muscles. 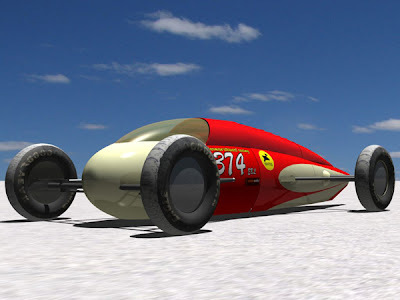 The looked like some manner of teardrop shaped land speed record car one might have seen on the Bonneville Salt Flats in the 1960s. They blew mind mind entirely. But my newfound fascination with bodybuilding (I mean, such as it was. I hadn't even heard the term "bodybuilding") went dormant for many years. Sure, I saw Dave Draper on The Beverly Hillbillies. And I will admit that the weightlifting unit in my high school Physical Education class was less loathsome to me than playing sports. But, as I say, the thing was in a long dormancy, until I happened to notice a photograph of Kay Baxter, around 1983 or 1984. Her shoulders looked inhumanly large; I loved them! So, in 1984, I joined a gym and began my own bodybuilding journey. I muddled along, probably spending more time reading the various bodybuilding magazines than I spent actually in the gym. In 1988, my wife and I moved to Southern California, where I joined a Gold's Gym. It was a much more serious gym than I'd belonged to before. And I met my first training partner, Steve. I credit Steve with demonstrating to me the intensity necessary to actually make muscles grow. It was a lot more than I thought! In 1993, at the age of 35, I entered my first bodybuilding contest. It was sanctioned by NGA, a natural bodybuilding federation. I placed 5th out of 6 competitors in the lightweight class. My contest prep was completely misguided! I starved myself, did no cardio, and lost a lot of muscle along with the fat to get down under 152 pounds. Then, the addiction went dormant (or semi-dormant) again for a while. I worked out lackadaisically, never making progress or building muscle, simply "managing the decline" in the same way I see so many in the gym still doing it. But then, about seven months before my 50th birthday, I suddenly got the inspiration to compete again. This time, I did it right! I hired a coach for training, and then coaches for the contest prep. I figured out how to get spray tanned correctly, so that my skin did not have a sickly, pale green tint as it did in my first contest. That was in July, 2008. After two more contests, in 2009 and 2010, I again tried to forget about the addiction. But my life took some directions I did not like, including occasional binge drinking. So, I have thrown that drinking addiction over for the bodybuilding addiction once again. I'm currently 7 weeks out from the first of three contests I plan to do this fall. Watch this space for further details!